Historically gold has been an important color in metaphysical healing for protection, cellular healing methods, and mental clarity. As gold represents the element of metal in the ancient discipline of Feng Shui, it also symbolizes heaven, promotes communication, enthusiasm, and independence. Feng Shui practitioners use gold to symbolize money, to attract financial abundance, and to stimulate an auspicious feel in any space. Place a gold item in the far left corner of the garden or room, from the perspective of the entrance. 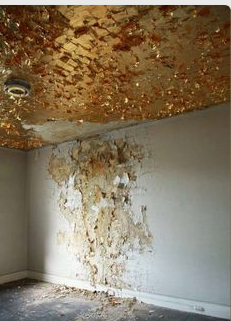 You might want to consider visualizing gold around your home, pouring over your business, and even surrounding your body. For more Feng Shui tips visit KimColwellDesign.com or sign up for one of the Feng Shui for Business classes being offered by the Shambhalla Institute. Good feng shui in the home often starts with a high-impact idea! 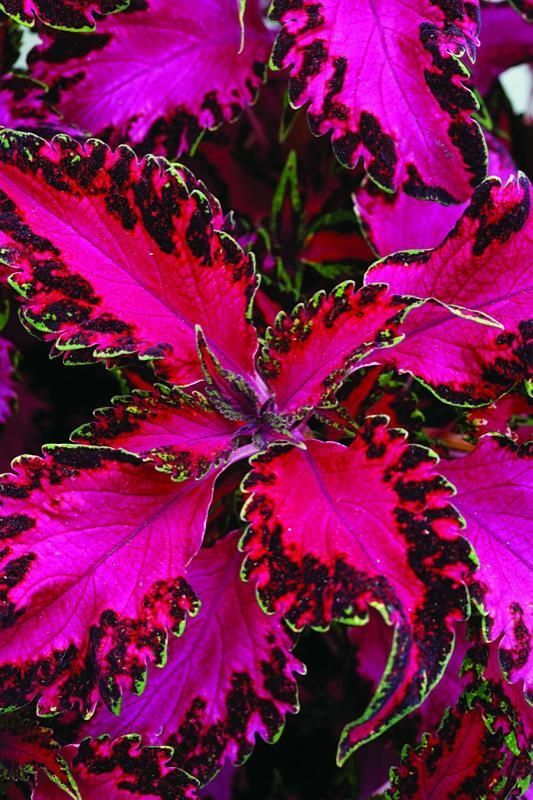 The plant shown, Pink Chaos’ Coleus (Solenostemon scutellarioides), is the perfect way to stimulate the chi for your home. Create a balance in your home by using the 5 natural elements of feng shui — Water, Earth, Fire, Wood, and Metal. Place this plant in the far back, middle areas of your garden – the fame area. The root of an edible species of Coleus, Coleus forskohlii, is historically used in Ayurvedic medicine to burn fat. For more tips for using interior design feng shui for the home see KimColwellDesign. Check out tons of tips on herbal medicine and feng shui for the garden in our book. It is a fact-filled resource that you will have for life, Shamanic Gardening: Timeless Techniques for the Modern Sustainable Garden. Note: Beautiful image of Coleus was found on gardendesign.com . ECO LIVING at it’s BEST! 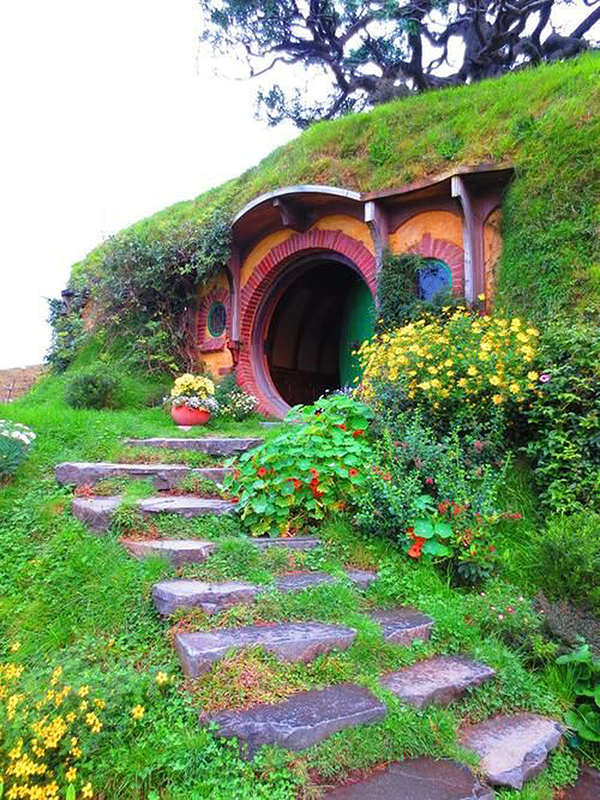 This HOBBIT HOME in New Zealand is a wonderful, cozy nest that is perfectly balanced between being warm in the winter and cool in the summer. Plus the colorful, round entry makes it even more fun to enjoy. It’s an excellent example of a feng shui and sustainable home. For more information on innovative ways to save money and live in a balanced eco-bliss, check out the book, SHAMANIC GARDENING: TIMELESS TECHNIQUES FOR THE MODERN SUSTAINABLE GARDEN! Angel Air promotes spiritual experiences and shares information that helps raise human consciousness and evolution. Anita Mayberry, its founder is a visionary, a gifted intuitive healer, who speaks Light language and implements galactic body activations. 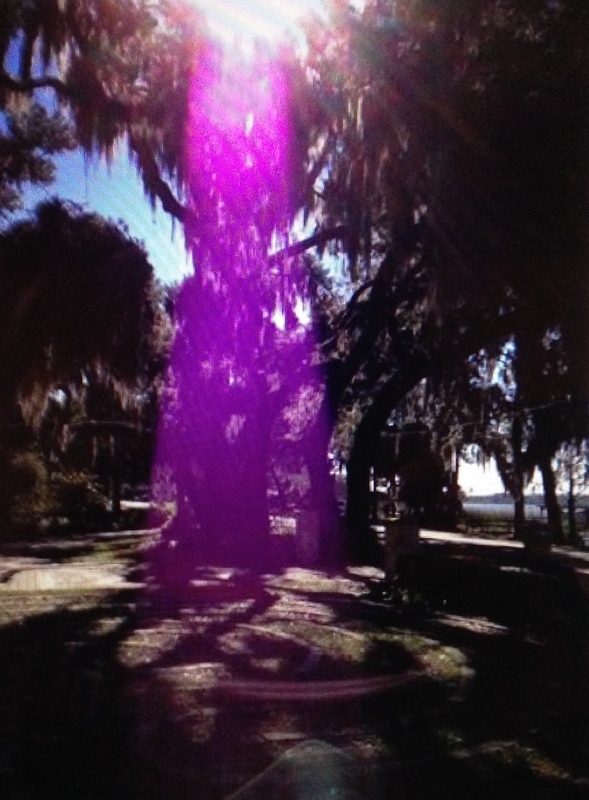 This February when, Angel Air flew into Florida to interview Melinda Joy for a series of video’s, this extraordinary image was captured on film at a labyrinth designed by her. Melinda Joy’s labyrinth designs are unique because she anchors specific Earth and Light energies into the labyrinth, makes an alignment with directions, and builds harmony with the surrounding environment. Each labyrinth is personalized to reflect the client’s personality, individual needs, and the intent of the labyrinth. The intent for this one was Transformation. It was a profound blessing when Anita’s camera captured this beautiful image that absolutely transformed both of us. Walking a labyrinth is a journey in Peace, Love, Joy, and Harmony. It’s wonderful to be able to share this image to remind us that we really are continually surrounded by Light Beings. Thank you to Angel Air for making a difference on the planet. 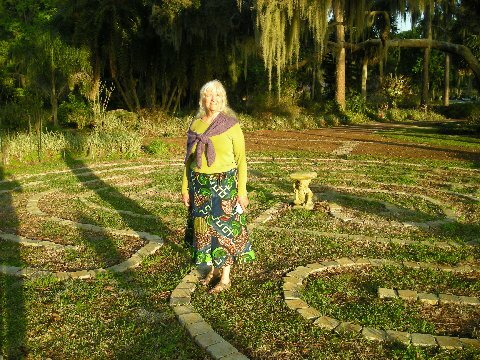 To book a Labyrinth Design call Melinda Joy at 352.638.2617. Visit Shambhalla Institute and Angel Air for more fascinating information and life-changing services and events.